In this funny, uber contemporary remix of Chekhov's The Seagull, author Aaron Posner stages a timeless battle between young and old, past and present, tradition and revolution. Torrid love triangles, philosophical war-waging and foot-stomping hilarity will inspire raucous delight. Directed by Matthew Gutschick. "The show is smart enough to have it both ways. It mines "The Seagull" for classical heft even while giving it the bird." -The Washington Post. 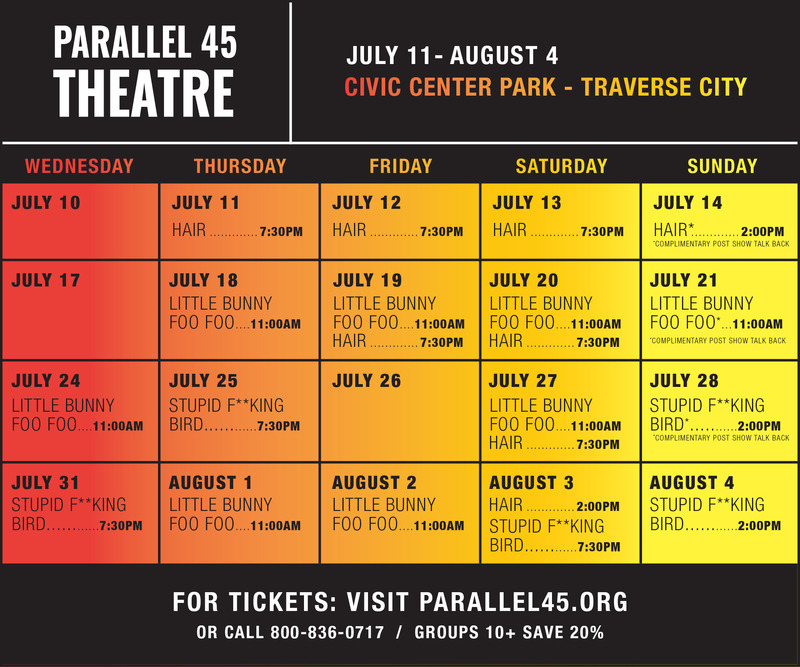 This show is performing in rotating repertory with HAIR & LITTLE BUNNY FOO FOO, from July 11 - August 4, 2019.